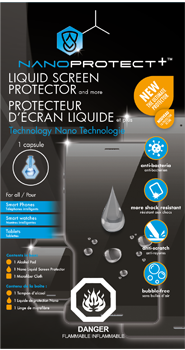 NANOPROTECT+™is the latest development in the nanotechnology sector. This new liquid formula strengthens the hardness of mineral glass by adding more protection against shocks and scratches. This technology has been conceived to protect all your screen devices: cell phones, tablets, smart watches, etc. Where the normal hardness on a glass screen with the best film protector is between 3 and 5H, NANOPROTECT+™ will increase the protection of your phones and devices to 9H; 10H is the hardness of a diamond. Nanotechnology consists of microscopic molecules bonded together to create a micro liquid protective layer on glass surfaces. Because they are so closely linked together, these invisible molecules will protect your screens from scratches and prevent germs from adhering. Your screens’ surface will also become water repellent, not entirely waterproof, but splash resistant. 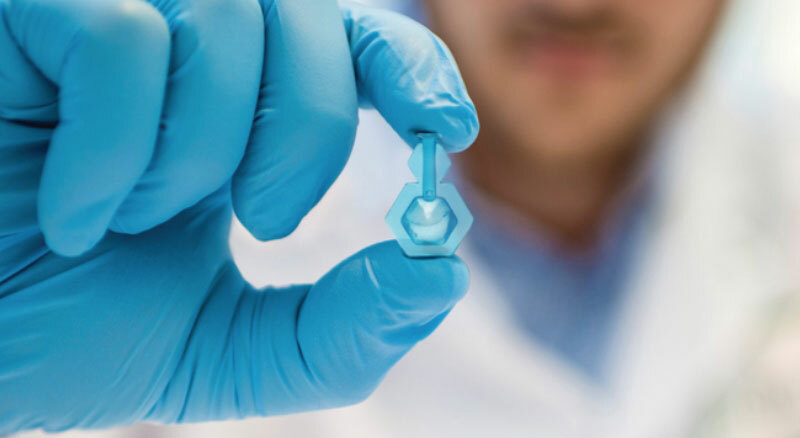 When the nanoparticles are combined to a crystalline structure, they form one of the most powerful chemical structures that can be obtained. This does not guarantee that the screen becomes indestructible, but the possibility that it breaks after a simple accidental fall is practically zero. 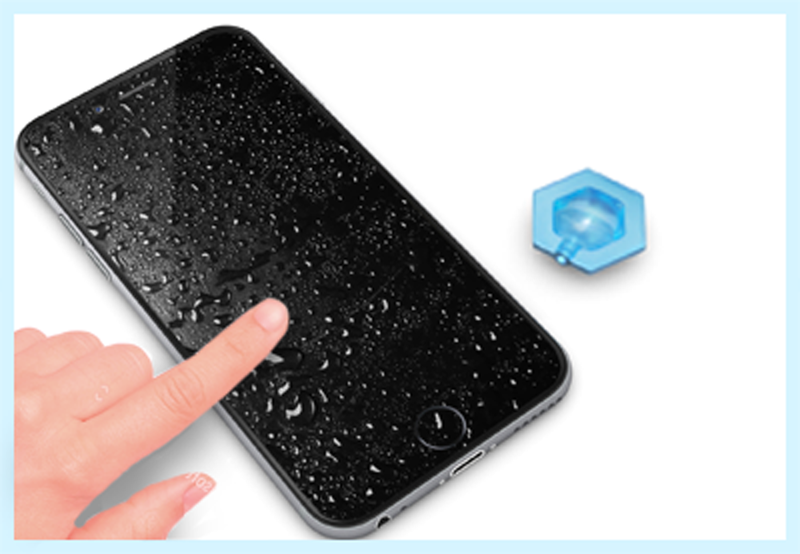 By its very nature, nano-coating technology is not limited to one specific smart device. You can easily apply the liquid on any type of glass surface up to 10.1 inches diameter, whether it’s a cell phone, a tablet or a smart watch. Contrary to a film protector, your screen will also remain bubble free, since this type of protection ensures that the air molecules do not remain trapped inside the structure. Moreover, sharp objects such as keys, pens or other sharp belongings in your purse or your pocket will not be able to penetrate the protective layer. No more scratches on your phone! The application of the product is a simple and easy process. Just follow the simple instructions provided with the product or go to the section How to Apply section in this page. 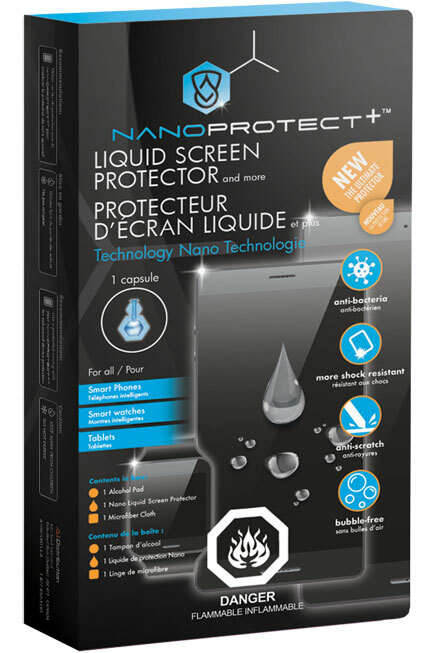 NANOPROTECT+™ is the best liquid screen protector available on the market. The protection will not affect your touch screen experience and is safe to touch. It helps reducing the radiation and is ecofriendly. 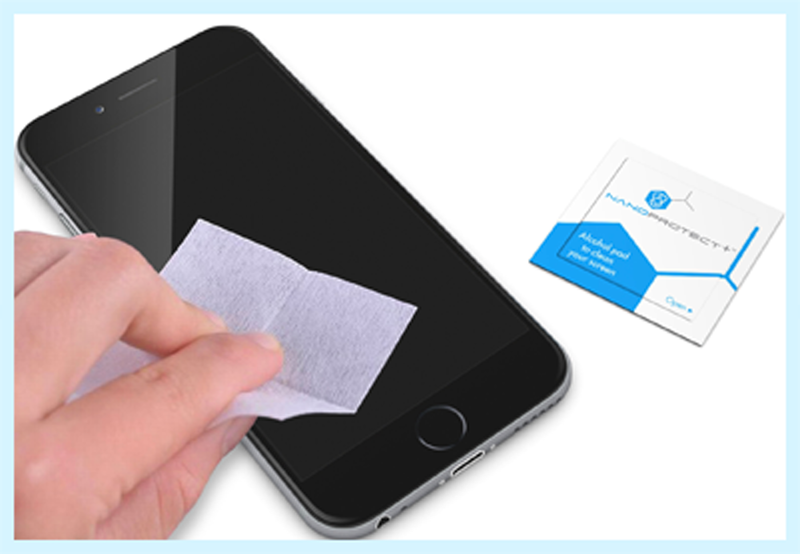 Very easy to apply, only one drop of NANOPROTECT+™ will protect any standard size screen for a minimum of 2 years. 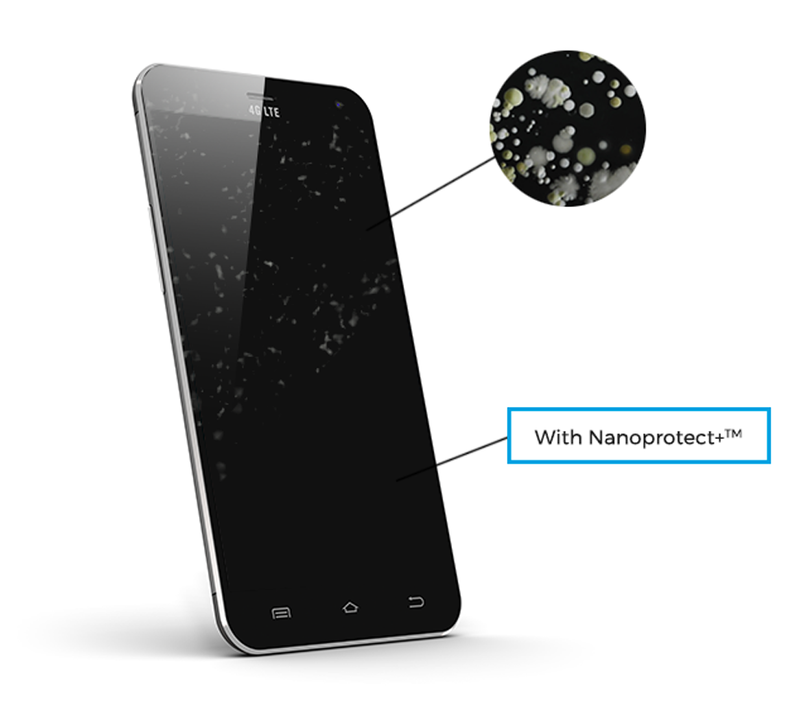 The anti-bacterial formula contained in NANOPROTECT+™ is truly revolutionary. It has been proven that cell phones and devices house various unwanted viruses and microbes. 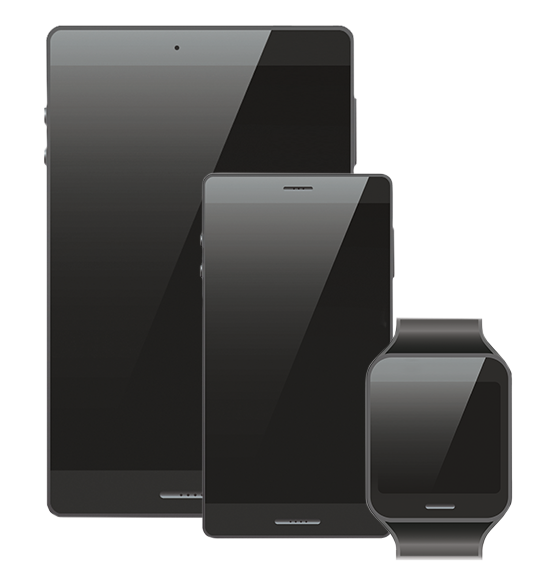 NANOPROTECT+™ will prevent the microbes from sticking and will help maintaining good hygiene control of your technological devices. 99.9% of the bacteria will be eliminated with the use of the nano liquid protection. That has been scientifically proven by recent independent labs tests. Discover how this amazing nanotechnology can make all your screen devices super-resistant against scratches and stay bacteria free. 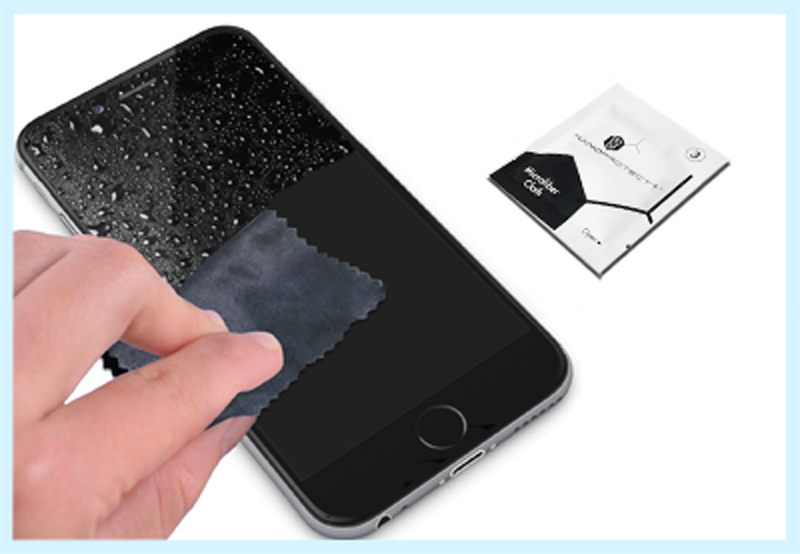 Clean the screen’s surface with the alcohol wipe. Remove the remaining alcohol with the microfiber wipe. With your finger, apply the liquid and spread it evenly, taking 2 minutes or so. Let the liquid penetrates and the nanoparticles set for 1 hour for a basic protection, or 8 to 12 hours or more for a maximum protection. Gently polish the surface with the microfiber wipe.